The Foxcatcher is a historical based crime drama about two Olympic gold wrestling brothers being driven apart by a patriotic multimillionaire. 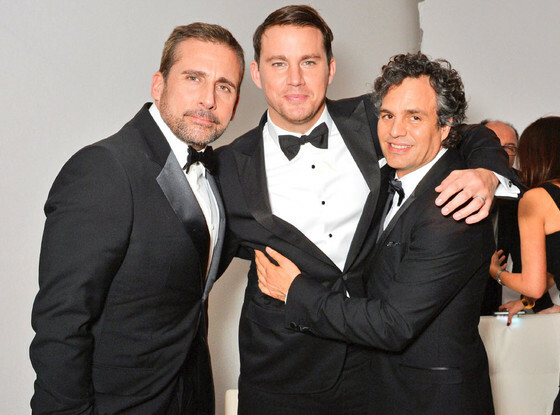 The three main actors are Steve Carrell, Channing Tatum, and Mark Ruffalo. The film is directed by academy nominated Bennett Miller who was nominated for Moneyball and directed Capote. The film was considered to be one of the best films at the 2014 Cannes Film Festival. 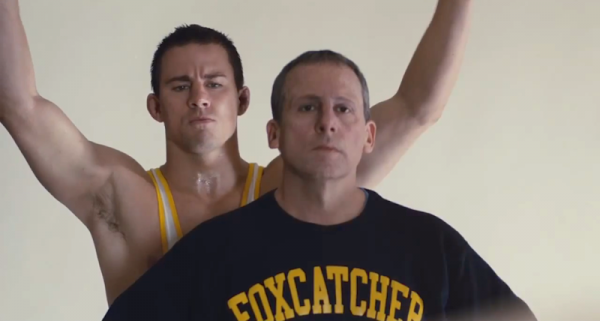 Mark Schultz and John E. Du Pont posing at publicity shots for Team Foxcatcher. Mark Schultz, Channing Tatum, is a Olympic gold wrestling champion from a small rural town iand feels constantly overshadowed by his older brother, Dave Schultz (Mark Ruffalo) who is also an Olympic Champion. Mark is contacted by John E. du Pont, a wealthy philanthropist and wrestling enthusiast. John wants to make wrestling America’s Olympic sport and use Mark as a symbol for patriotism. He also wants to be a father and mentor to his protégé. Mark jumps at the chance to represent team Foxcatcher, John’s private wrestling team. As the film progresses John does lead Mark down a dangerous path but also career ending one. John has no choice but to turn to Dave Schultz. Dave accepts John’s offer but his decision proves to be fatal for his family. Mark Ruffalo and Channing Tatum shine as team throughout the film. Foxcatcher is about a film about two brothers who are absolutely loyal and supportive towards each other because Channing Tatum and Mark Ruffalo display that loyalty in every scene that they are in. Tatum and Ruffalo gave stellar acting performances and their acting makes my excitement even higher than what it was for their upcoming performances in future films. The image above is from a scene where Tatum and his mentor John E. du Pont, Steve Carrell, come to Dave’s hotel room during the World Wrestling Championships. Dave is busy with his wife and two children, and Mark feels like Dave isn’t being supportive enough then leaves the hotel room furious. Dave stops him in the hallway, gives him tips, and shows him how to defeat his next opponent because Dave really does love his brother. The movie is filled with that brotherly family dynamic and allowed the audience to be in the film along with the actors. Ruffalo was nominated for best supporting actor. He will get an academy award one day because Ruffalo is a hell of an actor. Channing Tatum is not some pretty boy but also great charismatic actor. He should have been nominated for best actor. 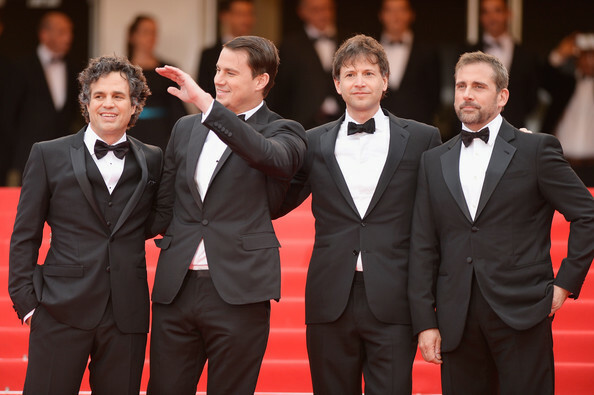 Director Bennett Miller attending the Cannes premiere with Steve Carrell, Channing Tatum, and Mark Ruffalo. Bennett Miller needs to be given a lot props for casting Steve Carell as John E. du Pont. His visual settings and tone were perfect, and he had a clear vision of the film’s story were perfect. He deserved that best directing nomination. Carell was amazing as John E. du Pont. Du Pont’s story was sad. At John’s core, he desperately seeks his mother’s approval. He’s also batshit crazy with a lot of jealousy toward the relationship that Mark and Dave have. 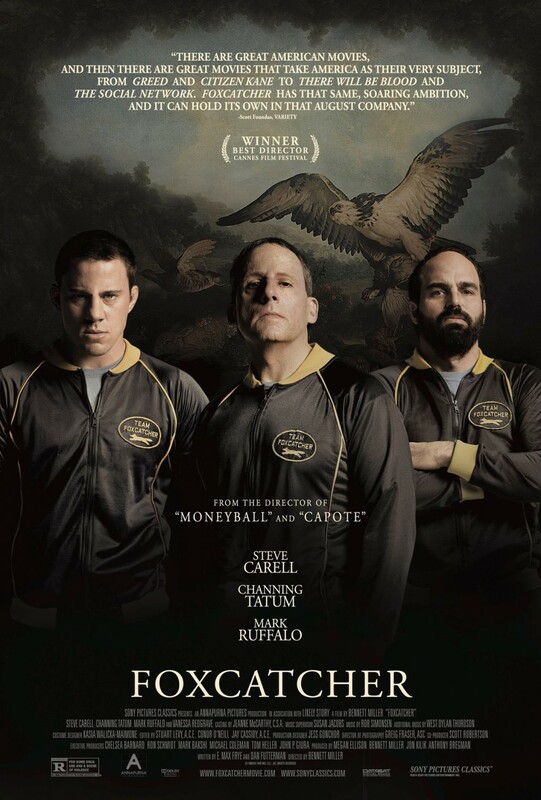 Bennett hit a homerun by choosing all three actors, and they together made Foxcatcher a tragic story. Honestly, the film didn’t really have a lot of negatives. It was a compelling story that made the audience feel sad at the end. It probably deserved a best picture nomination, and Channing and Carrell will have career boost after more people see this film. Foxcatcher gets a 4 out of 5 from me. 22 Jump Street starting Johan Hill Channing Tatum. How Hilarious is 22 Jump Street? How hilarious is 22 Jump Street; you may ask? It’s super hilarious. It is one of the best comedy sequels ever, and it will have you laugh so hard throughout the duration of the movie. Phil Lord & Chris Miller directed the first movie 21 Jump Street. It was a box office success. They did a great job with the sequel, and it will be a box office success. The film stars Jonah Hill (Morton Schmidt), Channing Tatum (Greg Jecko), and Ice Cube (Capt. Dickerson). Schmidt and Jecko after their success with the Jump Street division are moved to undercover division but not Jump Street Division. They fail to bring in a nation wide drug dealer, and the Deputy Chief Hardy (Nick Offerman) moves the duo back the Jump Street Division. Capt. Dickerson, leader of Jump Street, sent Schmidt and Jecko off to college to find a new drug and it’s supplier. The new drug called WHYPHY kills kids after they take it. They start to investigate the case and the investigation changes their lives forever. The success of this comedy can be contributed to three main actors. Jonah Hill, Channing Tatum, and Ice Cube make a great comedic team. Hill and Tatum have perfect chemistry together. I enjoyed watching them work on screen together when they fought or were partners. The two character often remind me of update characterizations of Riggs and Murtaugh from the Lethal Weapon movies. Ice Cube is exceptional in every scene he is in. I felt the audience paid more attention to him when he was on screen because of his charisma. He has one scene in particularly that made me bust out laughing. Phil Lord and Chris Miller are two talented directors. 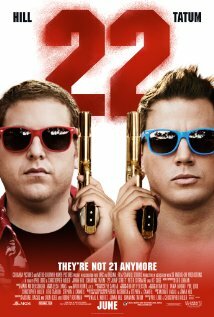 I didn’t see the first 21 Jump Street in theaters because I thought it would be stupid. I was wrong about it. The trailers for this movie didn’t excite me either. The sequel easily could have crash and burn to the ground but its directors are the reason it doesn’t. Lord and Miller make the story tangible and emotional. I felt like I was in college again. They capture the spirit and essence of college life and college academic life. People go to college to become individuals and the story blended that element and comedy to represent college life. The two main characters do discover a lot about themselves while at college. They even played on simple truths of college that every major doesn’t gurantee a job. Overall, 22 Jump Street is a hilarious movie. It’s a great time at the theater. It might be the best comedy of the year. It will rank up there with The Lego Movie, Grand Budapest Hotel, Chef, and Neighbors for comedy of the year. Hill, Tatum, and Ice Cube are brilliant in the movie. Ice Cube is a scene stealer because of his charisma. Phil Lord and Chris Miller wrote a beautiful comedic story that detail the negatives and positives of college life. Schmidt and Jecko are given character development in this movie. The audience learns more about them and their motivations. I will give 22 Jump Street a 4/5. Some of the jokes did strike out with me. What did you think of 22 Jump Street. Comment below and let me know. 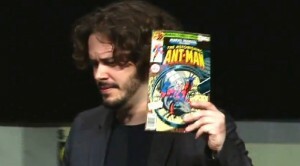 Edgar Wright and Marvel formed an partnership to make a Ant-Man movie in 2006. This movie was in development before Marvel decided to make a Cinematic universe. Last Friday, Marvel and Wright announced jointly that Wright has stepped away from being the director of Ant-Man. Each party cited creative differences. The film is set release on July 17th, 2015. The film has yet to begin filming, and Marvel hasn’t announced a new director. Who is Ant-Man? Ant-Man is a scientist, Hank Pym, who created Pym particles which causes the ability to change the body size. Michael Douglas is slated to star as Hank Pym. Scott Lang is the successor of Hank Pym who is a petty thief. Paul Rudd is slated to play Scott Lang. The reports state that Marvel had a few of their in house writers rewrite the script and made changes without Wright’s consent. Wright was unhappy with the changes and left the production. Marvel has used this strategy on many films such as Thor 2, Captain America 2, and etc. Marvel has to create an Ant-Man movie that fits within their universe. Wright might wanted to make a movie based on more thievery and comedy. All I want is a good Ant-Man movie and a plot that teases Avengers 3 and Thanos. I don’t care who they hire as along. I want my Ant-Man movie super entertaining, with great action, and cool characters. How many people really know about Ant-Man anyways? The Cannes Film Festival is one of the most predominant film festivals of the year. Films are shown have turned out to be Oscar contenders or winners. The Cohen Brothers have premiered their films at the Cannes and won awards which has garner them Oscar buzz. The Foxcatcher is garnering that buzz. Bennett Miller won best director at the Cannes. The buzz is around Channing Tatum. Channing Tatum might look like a model but he can act. Major critics have mentioned him an Oscar contender for best actor. We have halfway through the year and there a lot other movies coming out. I’m excited about the Foxcatcher. You can catch the teaser trailer here. 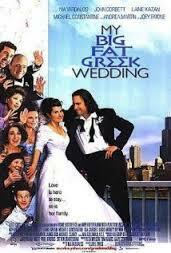 My Big Fat Greek Wedding was released in 2002. It was made for 5 million and made 368 million at the box office. It is the highest grossing romantic comedy of all time. Tom Hanks and Rita Wilson, his wife, produced the film. Variety has reported there is a sequel in the works. Vardalous will write and star in the film again with John Corbett playing as her husband. Tom Hanks and Rita Wilson are producing again. The story will follow the family ten years later and will have a reunion with new family members. I loved the first movie so much that my cousin’s stole my DVD of it. Stephen King (my favorite author ever) wrote the horror classic It . It is about 6 friends who come together to defeat the villainous clown, Pennywise. 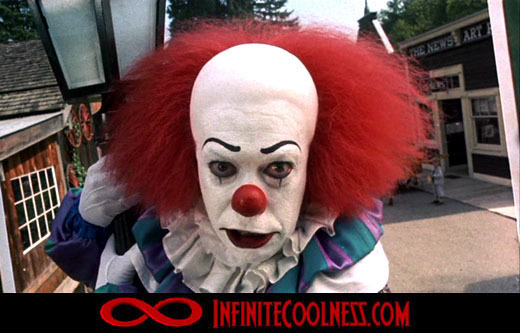 It was made into a mini-series (1990 starting John Ritter, Harry Anderson, and Tim Curry as Pennywise. Warner Bros brought the rights to the project a few years ago. Warner Bros handed the project to their newline cinema branch. Newline is responsible for the Lord of the Rings and Hobbit films. It might be produced into two movies or one big long movie. The novel is about 1,100 pages. There is no release date, writer, or director attached to the project yet but don’t be surprised to see It come out in a 2 to 4 years. 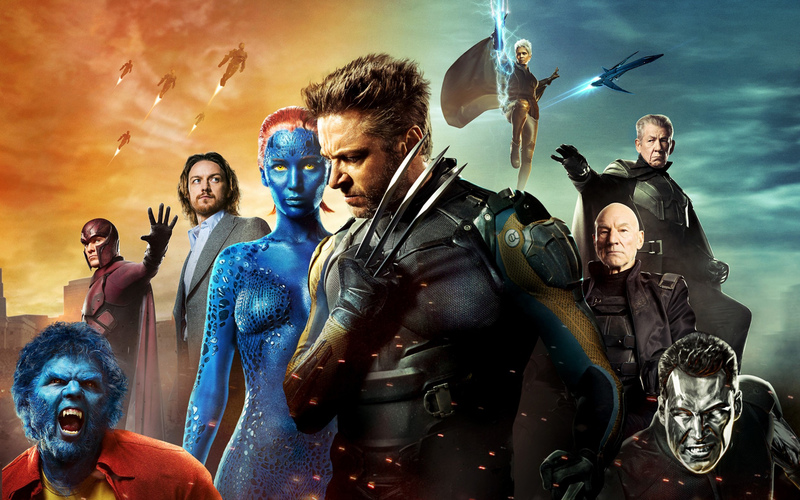 X-Men: Days of Future Past might be one of the best comic book movies ever. It dominated the box office over the weekend. It made 301.5 million over the holiday weekend. The domestic take was 110.5 million and it made 191 million at the foreign box office. It has made 301.5 million worldwide. It could be the highest grossing film ever. The production budget was 200 mill not counting marketing. X-Men could make up to the 400-600 million range. The film is not only a classic action movie. It is overall a great movie. Godzilla made 38 mill this weekend and it is at 322.1 million worldwide. It has yet to open in China or Japan. You can read my Godzilla and X-Men reviews by clicking the links. This Is Where I Leave You is, based off the book with the same name, written by Jonathan Tropper. It is directed by Shawn Levy (Night of the Museum, Date Night). It is being released by Warner Bros. The story is about a man who left his cheating wife and finds out that his father died. He comes home to see his other siblings who he has no connection with. The film stars Jane Fonda, Jason Bateman, Adam Driver, Tina Frey, Connie Britton, and Corey Stroll (Peter Russo from House of Cards). It will be released Sept 12, 2014. I watched the trailer and found it rather amusing. Hi all, I wanted to try to something different. I haven’t posted anything about casting news or movies trailers in awhile. In last two weeks huge pieces of movie news have been reported and confirmed that need to be addressed. 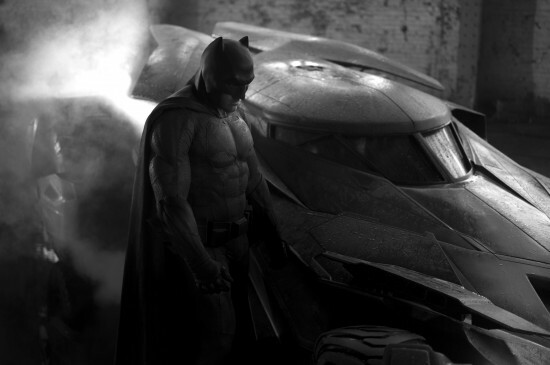 1.We finally get to see Ben Affleck as Batman and his new Batmobile. I saw this image, and my inner nerd jumped for joy. The image of Ben Affleck in the Batsuit is the definition of brooding. It reminds me how Batman is portrayed in the comics. The Batmobile looks very sporty like in the Tim Burton Batman movie. The Batsuit is more reminiscent of The Dark Knight Returns, a graphic novel by Frank Miller. The Dark Knight Returns’ Batman suit had shorter ears and a large Bat symbol on the chest. Batman looks like a beast compared to Christian Bale’s Batman. The tone of the pic is dark. This is a perfect representation of Batman. Batman and Superman will not be automatic friends in Batman vs. Superman. They will not drink beers together but most likely deliver blows to each other. 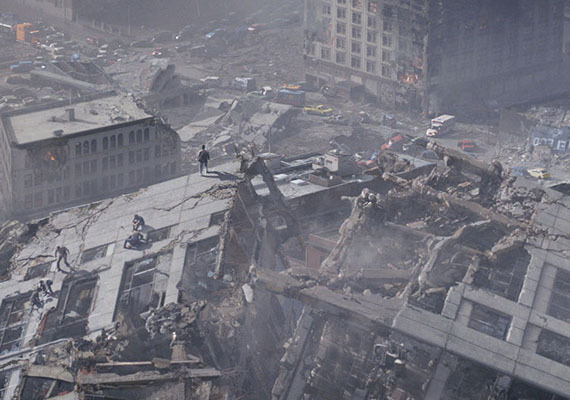 Bruce Wayne, Batman, and Clark Kent, Superman, will likely grow to trust each other during the last act of the film. They decide to form the Justice League along with Wonder Woman with their level of trust. Batman vs. Superman comes out on May 6th, 2016. Channing Tatum will play Gambit in X-Men: Age of Apocalypse ( release date on May 27th, 2016). Tatum will get his own solo movie as Gambit also. Gambit will supposedly have a big part in the next X-men movie. There is no official synopsis for Age of Apocalypse but the film will probably start production at the end of the year. The script is in the finishing stages. Tatum is a perfect choice for Gambit. Tatum is: from Mississippi; his on screen presence draws people to like him; his personality is very suave and mysterious like Gambit; he is sarcastic and funny; and he is very physical built for a fight. Who is Gambit? Gambit is one of the most beloved X-Men in the comics. He is Cajun and a skill thief. His powers are kinetic energy. He can explode anything he touches. 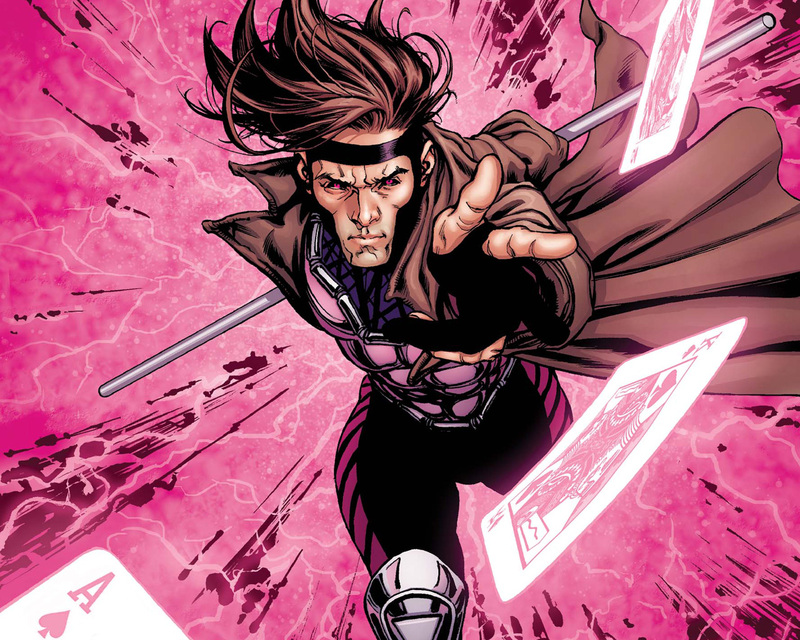 Gambit is one of the most intelligent and skilled fighters in the X-men. His weapon of choice is a Bo staff. He is one of the few X-men who can take on Wolverine in hand to hand combat. People love Gambit because he uses humor in very intense moments (sarcastic and witty humor). He also uses a 52 card deck as grenades. 3. Man of Steel sequel gets a title. I was literally writing about my next news story when this story broke. The Batman vs. Superman movie will be called “Batman vs. Superman: Dawn of Justice.” The name “Dawn of Justice” implies the origins of the Justice League. Wonder Woman is in the movie. Ray Fisher, a broadway actor, was cast as Victor Stone who becomes Cyborg. We heard rumors of Aquaman being involved and maybe the Flash. These characters will have small parts. Justice League and Batman vs. Superman: Dawn of Justice are supposedly are going to film back to back. 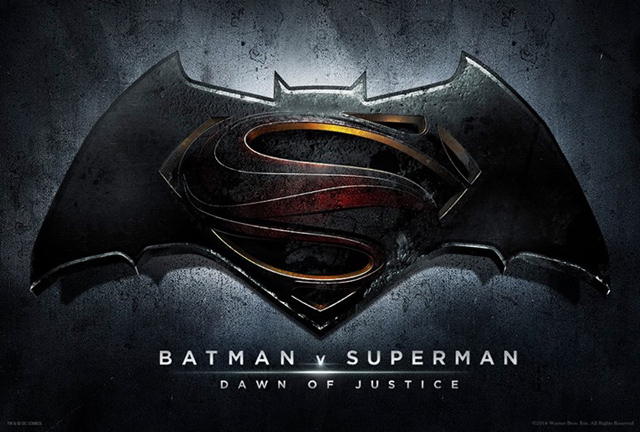 Batman vs. Superman: Dawn of Justice comes out May 6th, 2016. Stone, and other Justice League members will not have major roles and most likely be introduced with 5 minutes of screentime. Wonder Woman will have a supporting role because her character’s film debut has been a long time coming. 4. New Guardians of the Galaxy trailer. We have a new Guardians of the Galaxy trailer. You can watch the new trailer. The new trailer feature’s Norman Greenbaum’s “Spirit in the Sky.” The trailer is visually stunning, funny, and reminds me a lot of a Star Wars movie. I found the trailer to be so entertaining and the music selection adds entertainment. We also get to hear Rocket Raccoon speak and Groot speak too. The film comes out August 1st of this year. 5. Godzilla 2 is coming! 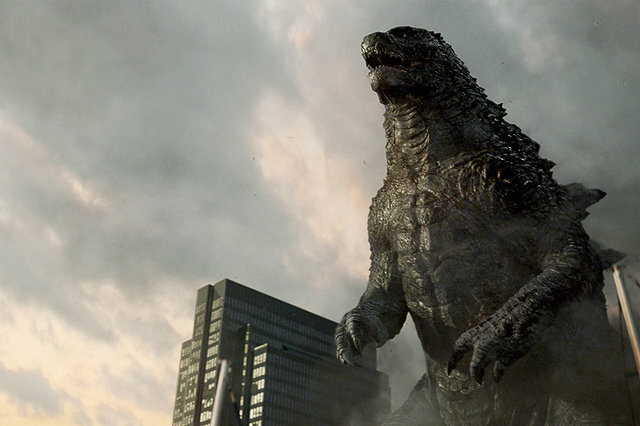 Warner Bros and Legendary studios are reportedly working on Godzilla 2. The first Godzilla movie was a positive success. The film is in development and no official date has been set. Toho owns the rights to other Godzilla characters such as Mothra and King Gidorah. Legendary and Warner would have to acquire the rights to those characters to be used in a sequel. I’m a excited about this news. Gareth Edwards and his crew have discussed sequel possibilities already amongst themselves. Stay tune for new information as it comes along. Godzilla in 4 days at the Box Office as made 211 million worldwide according Box Office Mojo. Godzilla is on pace to earn anywhere between 500 to 600 million. It has yet to open up in China or Japan which are the two biggest foreign markets for United States films. It scored 38.4 million on Friday. I was disappointed in the film, but I have seen it twice. The question is will fans rush back to see the film, and will people go see this movie in the next couple of weeks? Godzilla could make 200 million domestically and that would be a success. 7. 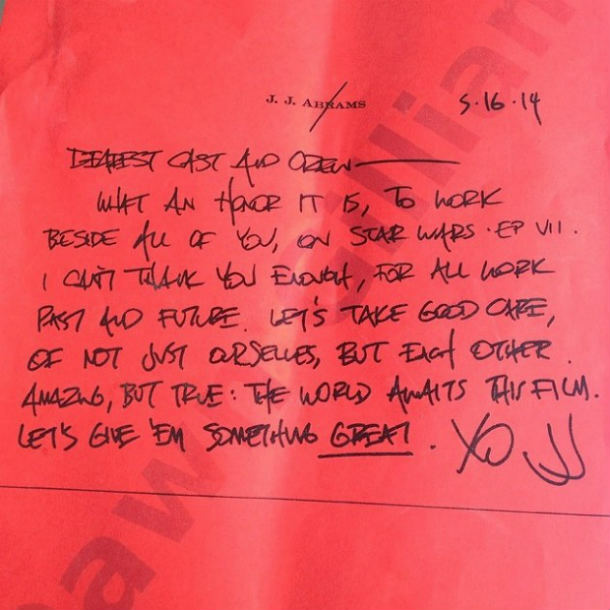 JJ Abrams note to the Star Wars and Crew. JJ. Abrams is the director of the Star Wars Episode VII. The film is supposedly has a working title of “An Ancient Evil.” The buzz surrounding the film is pretty high. The note is pretty significant. It shows the commitment that Abrams has to this project. The note also states he wants dedication from his cast and crew. The Star War franchise is so beloved that a serious mistake by Abrams or any of the crew will not be lightly forgiven. Star Wars stars Mark Hamill, Harrison Ford, Carrie Fisher, with a younger cast of new characters. Star Wars Episode VII comes out December 18th, 2015. The Foxcatcher is a movie adapted from Mark Schultz’s autobiography. Mark Schultz and his late brother, Dave Schultz, are gold medal wrestling champions coach by John dDu Pont. The movie was shown at the Cannes Film Festival and received instant buzz for being an Oscar contender. Dave is played by Channing Tatum, John is played Steve Carrell, and Mark is played by Mark Ruffalo. The film is directed by Bennett Miller who directed Moneyball. I love sports dramas and this film is a must see for any sports film fan. It comes out November 14th of this year. Roberto Orci is the new Star Trek 3 director. 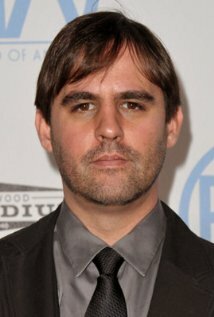 He and Alex Kurtzman are responsible for bringing back Star Trek in 2009 and making it popular again. He has no directing experience. He is very active on twitter and asked fans what they would like to see in a new Star Trek movie after Star Trek: Into Darkness was such a hit. I personally don’t mind this choice to direct the new movie. I hope he doesn’t write something abysmal as The Amazing Spider-man 2. He knows the cast and has been actively involved at the producer level for the previous two films. I have faith he will do Star Trek justice. Stay tune for new Star Trek information. What do you think about these news stories comment below and let me know.